Powell said at Dreamforce she considers herself to be a customer success officer, with the people element added, because Xero's whole business premise is to have the human ripple effect resonating from the inside-out to effect change. “Our purpose is ‘having a positive impact on the world by helping small businesses to grow’. Fundamentally, everything you do must start with this very clear purpose, which will resonate throughout the business," she told CMO. “I prefer the word thrive, rather than grow, because success for small business is different for different people. Some don’t want to grow, they want work/life balance, so I like to cover what is enabling them to thrive. Xero has about $3 trillion worth of transactions running through its platform. The vendor recently evolved its business from a pure accounting software supplier to a more holistic small business platform under the tagline ‘beautiful business’. Powell said Xero has more insights into small business than the Federal Government does. The vendor recently raised $300 million to accelerate acquisitions to move to its new platform and purchased Hubdoc in August for $94 million in order to move to a code-free accounting world. It's also launched into Canada, where Hubdoc is already entrenched, and has its sights set on South Africa. Xero also operates in is Asia, and Powell said Xero is quickly gaining traction in that region. Through all of this, trust has to start at home. As Powell pointed out, trust is at an all-time low, not just for consumers, but across four major institutions: Business, government, media, and not-for-profit. Yet trust is crucial not only for business success, but for reducing churn, increasing retention, and increasing advocacy. And word-of-mouth is the most powerful marketing tool now, she said. "Businesses are now the ones that have the most power to enact change, and it all comes down to trust,” Powell continued. “Trust can’t be bought, it has been earned, with consistency. Transparency is an element, but it doesn’t always equal trust. Trust is all based on relationships, and once you’ve got it you only keep it until you lose it. 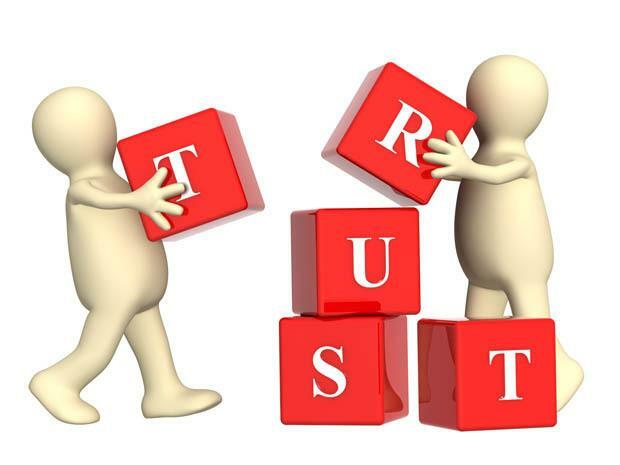 “You can’t even begin to build trust with your customers if you can’t trust the people you work with. It all starts from there." In describing the human ripple effect, Powell said the first point Xero touches is its own workforce. The company has grown from 1200 employees two years ago, to 2500 across 22 offices globally. Having that clear purpose resonating throughout the organisation is about ensuring these employees are brand ambassadors. “We have over 150,000 advisors that use our technology to serve their small businesses, so they become the next layer of the onion in terms of resonating that purpose," Powell explained. "Surrounding all of that is the app vendors and partners who are also part of our story, so this is why the inside-out approach is important to us. “If we can increase the amount of people we engage internally who then engage customers externally, then there’s more empathy, ideation and innovation. Our success is all determined by the success of our customers. And the more people we have internally who understand that, the more empowered they are to induct change. “If you have people playing to their strengths you can facilitate building relationships inside and outside the company, and then give people autonomy to do what they need to do to get the job done, you’ve got intrinsic motivation. This is much more powerful than extrinsic motivation. It’s all about coming back to our purpose, that’s the ‘why’. The ‘how’ is your values and the people you hire being aligned with those values." With 2500 employees and 150,000 accountants and bookkeepers leveraging its technology, along with 1.4 million subscribers, that is 27 million people globally directly affected by the Xero business, Powell concluded. "Then there are the communities and families around all these people. So you can see why everything we do needs to come back to our purpose,” she added.